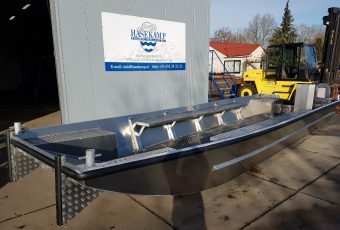 Hasekamp Trading Holland has his own production line of new aluminium workboats, fully designed and fabricated in the Netherlands with a CE Marking. 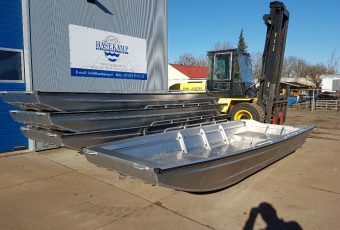 These aluminium workboats are designed to be very reliable, stabile and above all: they last for years and keep their value. All our offered boats are in stock, so without any delays you can have your boat within one week time. Also take a look at our used workboats and recently sold workboats. 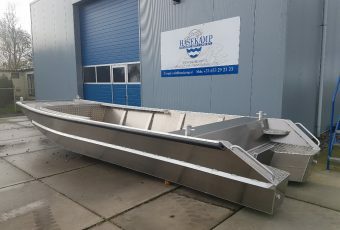 We have an own production line of new aluminium workboats and custom made aluminium workboats fully designed and fabricated in the Netherland with a CE Marking. 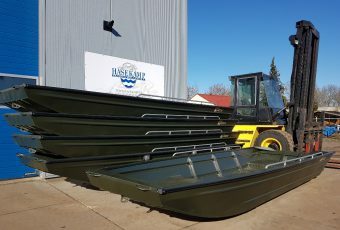 A few products from our product line are for example: Workboat, landing craft, loading ramp, spuds, outboard engine, trailer, Multipurpose workboat, road transportable workboat, open aluminium workboat, pontoon, connectable pontoons, spuds, winch, generators, schottel rudder propellers and much more. 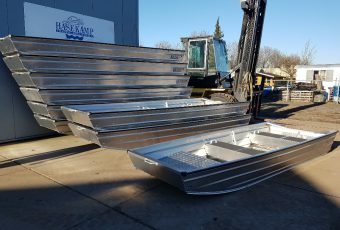 These aluminium workboats are designed to be very reliable, stable and most of all they last for years and keep their value. If you cannot find your item on our website please feel free to contact us and we will try to locate the item for you! 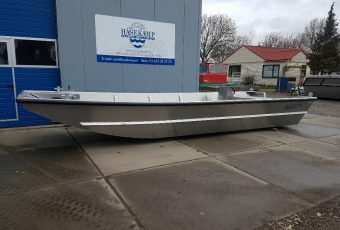 Buy a workboat in stock without any delays! If you have designed your own workboat or you want us to design your boat please do not hesitate to contact us. We can help you with the full design of the construction and the delivery of your boat worldwide. All our offered boats are in stock without any delays. You can have your workboat within 1 week!